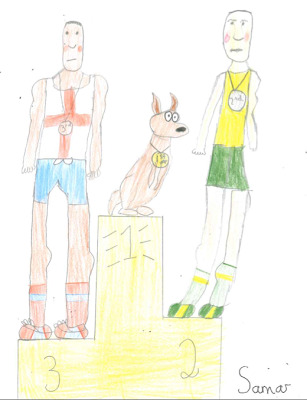 Congratulations to Jessica, Annie & Cameron - you have come up with the three most amusing captions for Samar's cartoon. But who will be entered onto the Headmaster's Punning Roll of Honour? You decide! Vote! The teacher Ross Mannell has some great advice on writing puns and captions here. Happy punning! 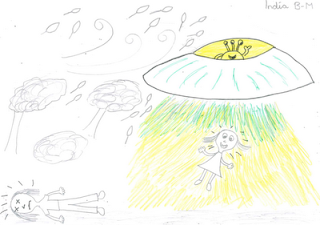 Congratulations to Chantelle & Dani - you have been selected by the Headmaster for most amusing captions to India's 'alien spaceship' cartoon. In his wisdom, the Headmaster has also commended a somewhat older entrant - Mr Mannell, a teacher from Australia. But which of the three captions is your favourite?